The '20 Years of Sonic Brewtality' outing will present the band playing two nights in each market. Black Label Society will release Sonic Brew - 20th Anniversary Blend 5.99 - 5.19, a “reimagined” version of their 1999 debut, Sonic Brew, on May 17. In conjunction with the release, the band has announced the "20 Years of Sonic Brewtality Tour," a new 2019 North American outing. 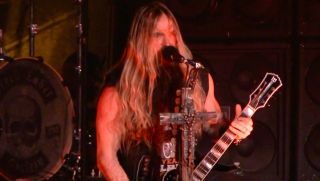 For the upcoming tour, Black Label Society will play two shows in each market—the first night will feature Sonic Brew in its entirety, while the second date will see the band play a set of greatest hits. Support will come from Conan and the Atomic Bitchwax. Dates begin April 24 at the Oriental Theater in Denver and wrap up in Los Angeles at the El Rey Theater for two nights ending on May 23. See below for all shows. For more information, head over to BlackLabelSociety.com.